Western Action Shooting (sometimes referred to as "cowboy action shooting") is a shooting sport using live ammunition. Participants dress in period clothing and use guns and gear from the 1865 to 1899 time frame. Modern replica guns and gear are appropriate also. Lead rounds are fired onto steel targets. A match consists of several shooting stages. Each stage requires a shooter to engage pistol, rifle, and shotgun targets in a particular order. The shooter is timed while firing. Accuracy reflects on the shooter's score as well. Shooters of all skill level and ages participate. NCOWS places a heavy emphasis on the historic accuracy of participants' clothing, guns, and gear. NCOWS members come from a wide variety of backgrounds and occupations to experience the Old West. Among the common activities NCOWS members enjoy are Western Action Shoots which is timed shooting sport in which shooters compete on a series of different shooting stages. 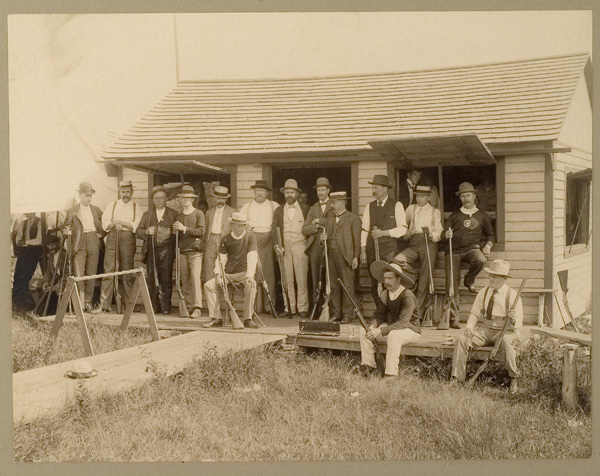 The shooters are attired in Old West style clothing, and use firearms typical of the guns used in the Old West. NCOWS members also spend time researching, collecting, and exchanging information on the firearms, fashions, history and other facets of the Old West. There are NCOWS members that enjoy participating in reenactments of the period that are good family entertainment that is rooted in the history of the West. To conduct and/or sponsor family-oriented Western Action Shoots and other activities appropriate to the Old West on national, regional, and local levels. To encourage a high level of historical authenticity in weapons, clothing, and accouterments while participating in NCOWS-sponsored activities. To engage in historical investigation to enhance our overall level of authenticity and increase our knowledge of the Old West. To actively promote a positive public image of Western Action Shooting in particular, and of the safe and responsible use of firearms in general. To establish a membership of like-minded individuals and Charter Clubs (Posses) to help the sport of Western Action Shooting grow and prosper. Participation in NCOWS-sponsored events does require some basic minimums in terms of weapons and clothing, which must all be authentic and preferably documentable to the period of 1866-1899. Complete details on approved weapons, calibers, clothing, and accouterments will be found in the NCOWS Tally Book free to all members. Competition is in two weapons divisions: Black Powder and Smokeless, with further sub-divisions such as "Duelist" (must shoot revolver one-handed), "Shootist" (may shoot revolver two-handed), "Ladies," "Youth" and"Senior." For example, a shooter may compete in "Smokeless Shootist," or "Black Powder Duelist." "Ladies," "Youth" and "Senior" have no restrictions on propellant or whether the revolver is shot one- or two-handed. "Pistoleer," is restricted in weapons and clothing to the period prior to 1872, and mandates the use of percussion revolvers shot one-handed. We freely admit that we're rather strict in adhering to a high level of historical authenticity for participation in our events. We believe that the enjoyment of everyone involved -- participants and spectators is increased by maintaining an authentic visual appearance at our events, and we pride ourselves as much on our "look" as on our skills with historic weapons. The Berger Sharpshooters Posse was formed in April, 2011 for two very important reasons. First to remember our friend, Joe Berger and second to experience our western heritage as it really was. As the Union army had the famous Berdan Sharpshooters, we in Texas now have the Berger Sharpshooters in his honor. Joe Berger was our friend and as the owner and operator of Jacob's Plain Gun Club. 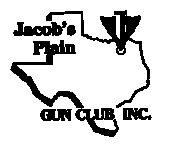 He was always supportive of our western action shooting an activity he introduced at the Jacob’s Plain Gun Club in 1996. A native of Pennsylvania, he enlisted in the army at 18 after high school. He served in Panama, Vietnam, Germany, Korea, Fort Sill and the University of New Hampshire ROTC. It was while serving in Vietnam that he met and Married Sandy Lane. Their union led to 38 years of marriage and many great adventures. Joe loved the military and his service to his country. After twenty years of service the Bergers retired to Greenville, Texas. There Joe opened La Chateau Restaurant Downtown, built Jacob’s Plain Gun Club, started Centennial Security Services and Security Guard Academy. Joe’s service to his community did not end with his military career. He was the Director of Hunt County Youth Outdoor Days, Past Master Masonic Lodge, Past President of the United Way of Greenville, Past President of the Greenville Downtown Business Association, Lifetime member of the NRA, member of the American Legion and the VFW, member of Ducks Unlimited, volunteer with the 4H of Hunt County and a 3rddegree black belt in Shotokan and Aikido. The setting for our matches is named Lane Town in honor of Joe’s wife, Sandy, whose family has owned the 170+ acres since the 1840’s. We remain forever in debt to Joe and Sandy for providing us with a place where we can enjoy friendships and our Second Amendment rights. In 2012, we have renamed our annual 3 day regional match to the "Joe Berger Memorial Match" in Joe's honor. Promoting safe Western action shooting including the re-enactment and promotion of the historical Old West heritage of the United States in all its ethnic, social and occupational diversity. To encourage and foster the development of those characteristics of honesty, good fellowship, self-discipline, good team play and self-reliance which are the essentials of good sportsmanship and the foundation of true patriotism. 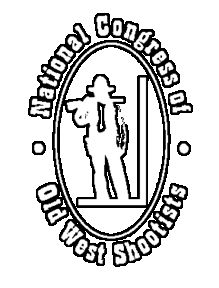 To support National Congress of Old West Shootists activities conducted by charter clubs. To actively promote a positive image of the safe and responsible aspects of legal firearms use and ownership. To provide educational opportunities regarding both historical re-enactment and the safe and reasonable use of legal firearms.